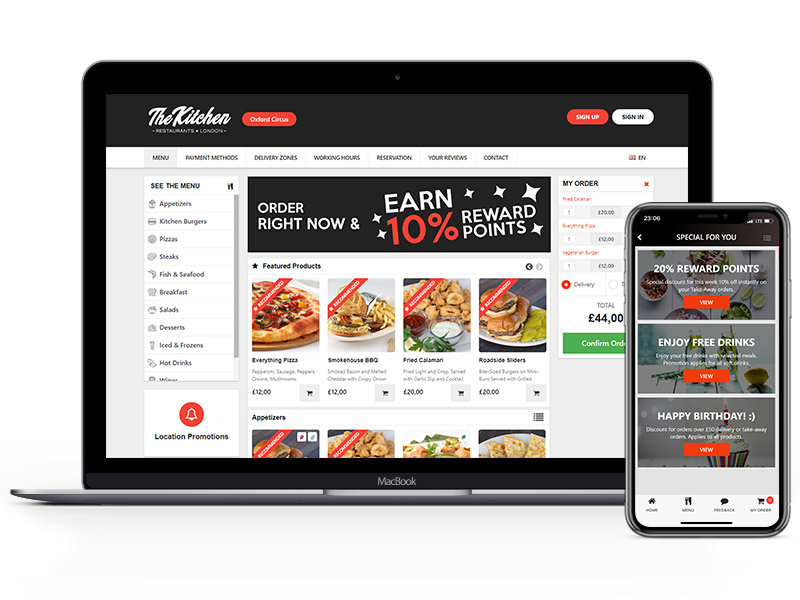 Find out what your customers are buying and how frequently they are ordering, offer them gifts, spendable points from their orders, create automated promotions for birthdays or special days, regain your lost customers with creating special promotions for only them. Simple for you to create, easy for your customers to benefit. 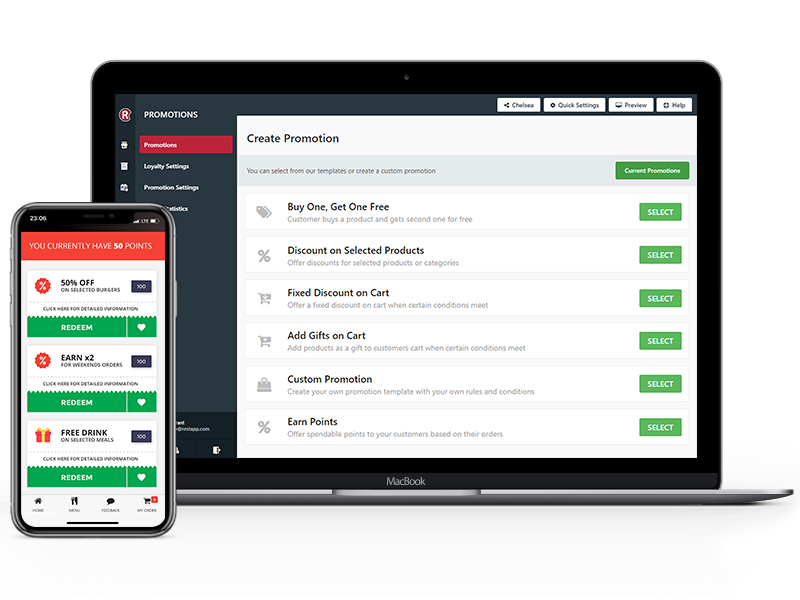 RestApp includes a built-in promotion modules so you can create incentives for new or returning customers. These will appear on your online restaurant menu or EPOS customer facing displays.